Teosyal® Meso is a cross-linked hyaluronic acid based gel sterile, formulated from an animal free and biocompatible hyaluronan serum that magically lifts the skin out of the deepest dehydration. Multiple micro-injections are carried out using small needles into the superficial or deep dermis. On average, the effect will be between 2-3 months. 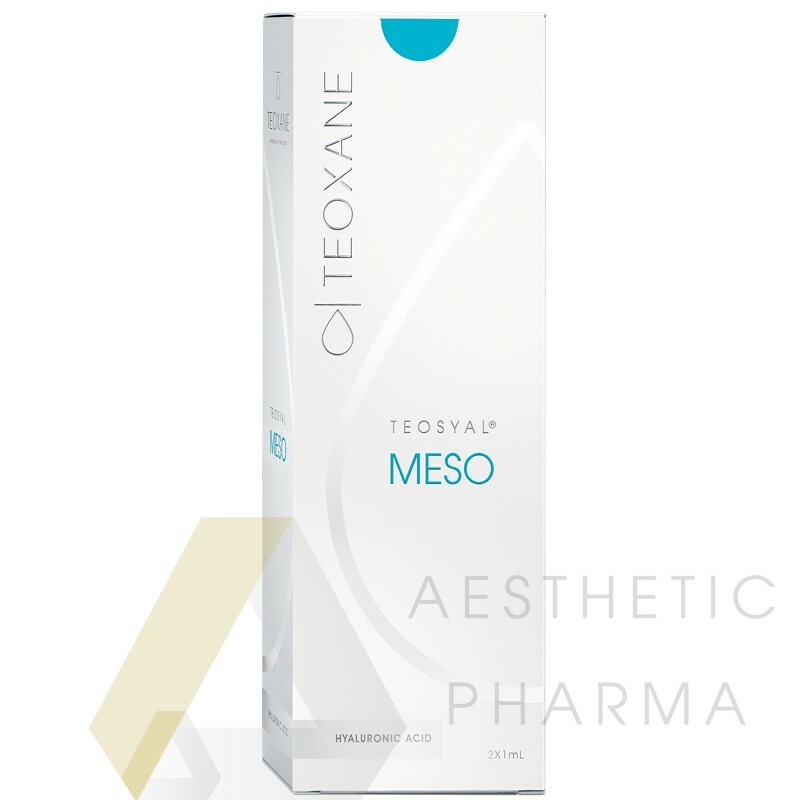 The overall lasting effect of Teosyal Meso treatment depends on the individual's lifestyle, age and skin type. Skin complexion will be noticeably improved instantly from the first session, although subsequent top-up treatments may be required to achieve optimum results. skin on the face, neck, and cleavage area.